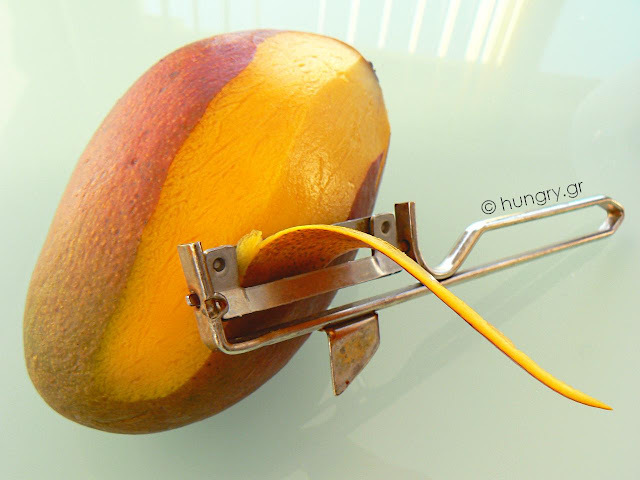 Peel a ripe mango, with the potato peeler. Cut the half into large pieces and the rest smaller. 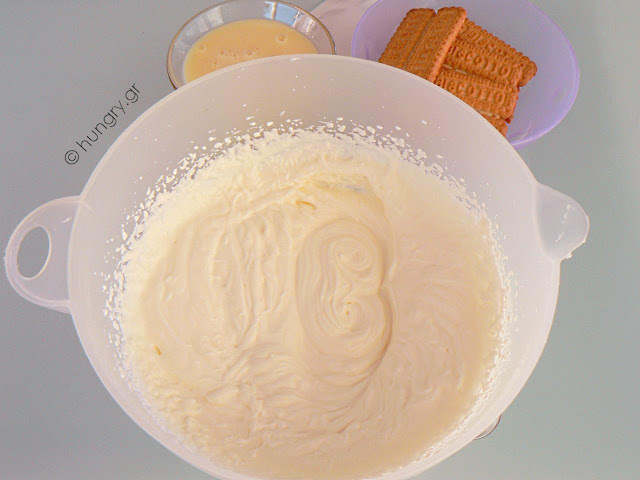 In medium size bowl, beat the sour cream with a hand mixer, until thick and add the yogurt. 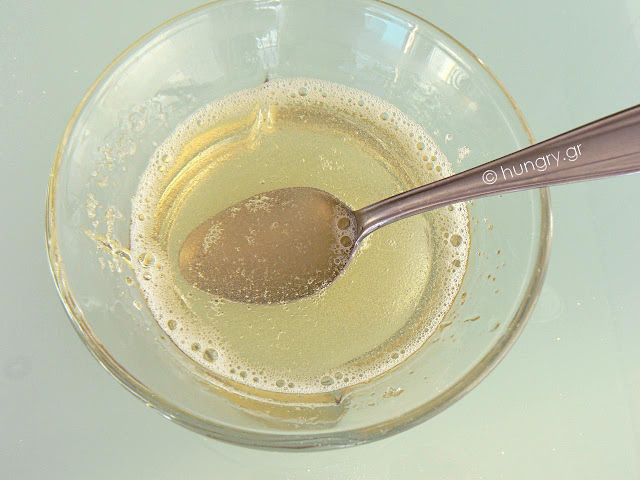 Heat 4 tablespoons water and add the gelatin. 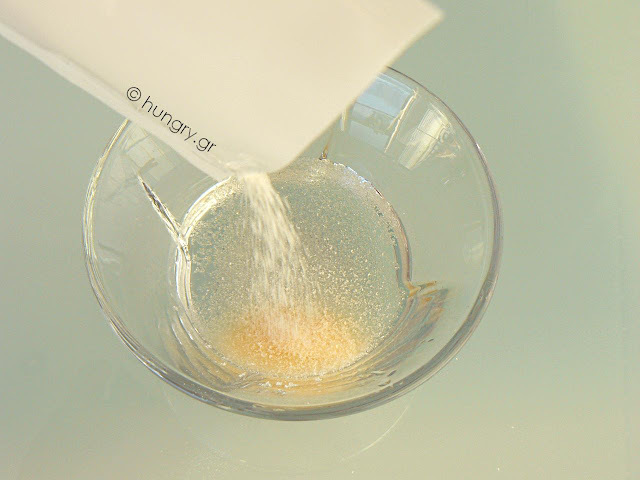 …and put in bowl with yogurt mixture. 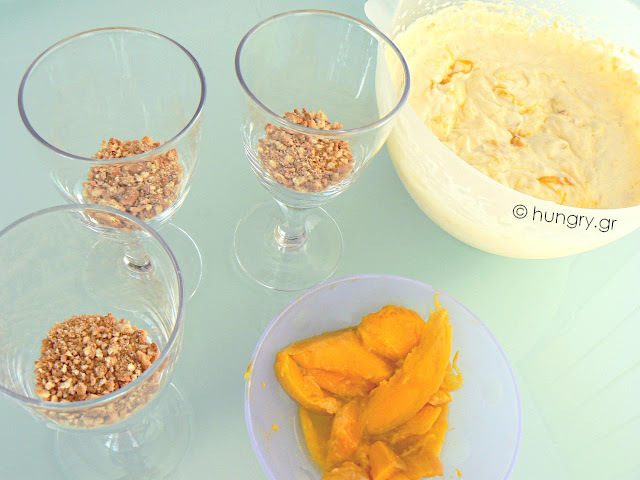 Add the sweetened milk and the small pieces of mango. 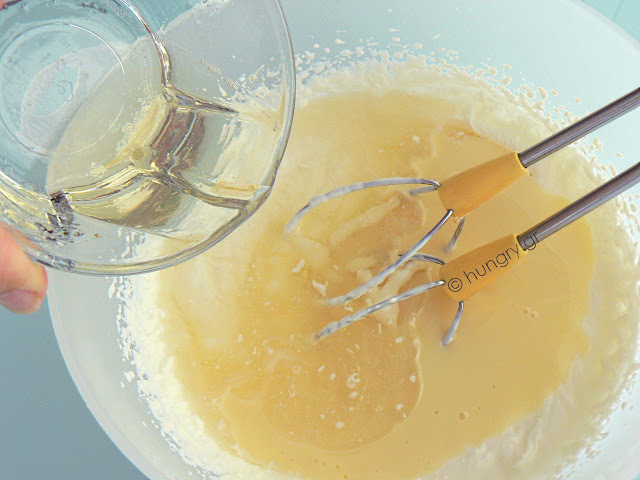 …add 2 tablespoons of the sour cream mixture. 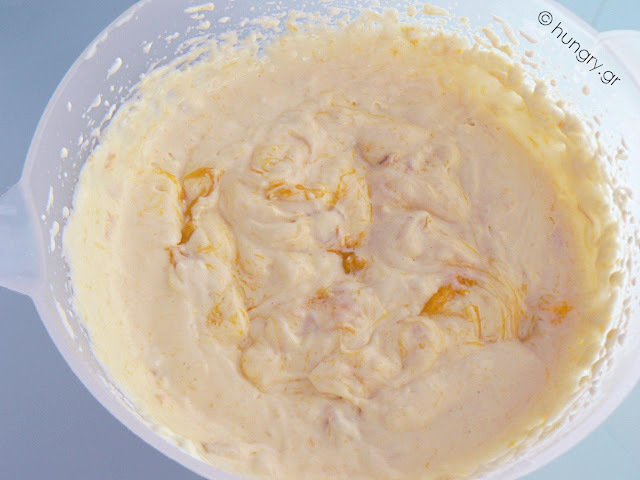 On top put 2 pieces of mango and continue with 2-3 tablespoons of cream. 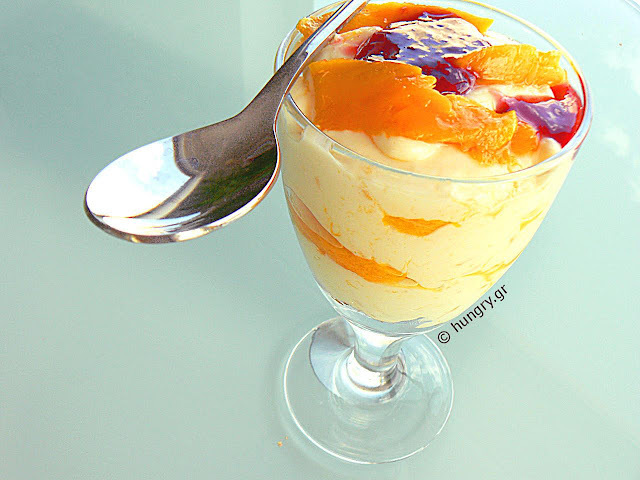 Garnish with 2 pieces of mango and a little strawberry syrup. Refrigerate for 3 hours until it thickens well. 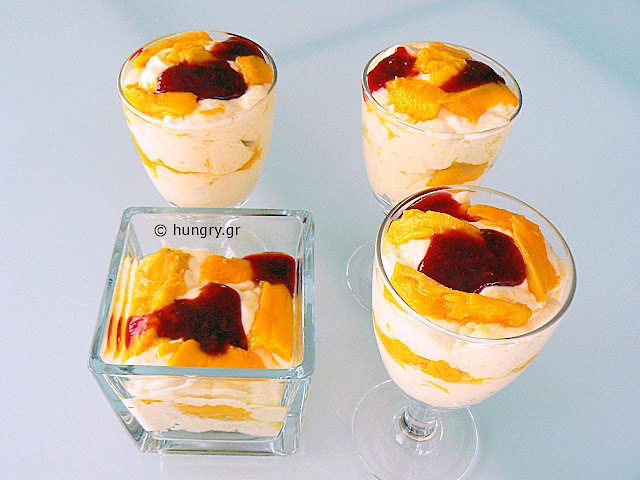 Light, fresh, delicious dessert of yoghurt, pleasant to consume, especially after a heavy meal when we prefer a light and refreshing dessert. Of course, it can be enjoyed, just as well, any other time we choose. 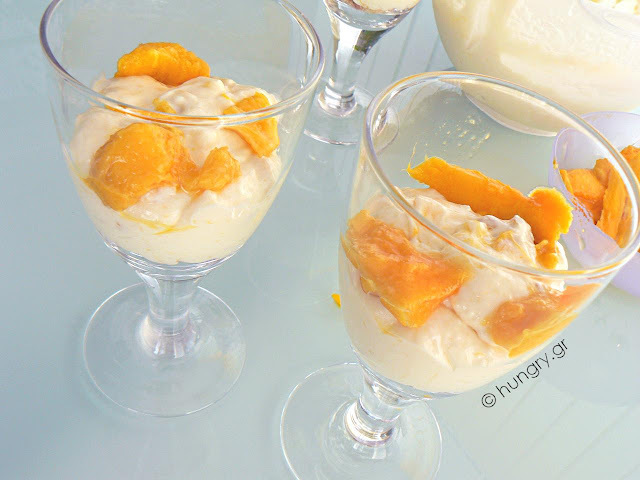 It is light and becomes lighter if you use low-fat yoghurt. This proposal here is the classic version of uncooked Cheese Cake. There are other versions, where we put the cake base in the oven to bake. We'll see it at a later time. 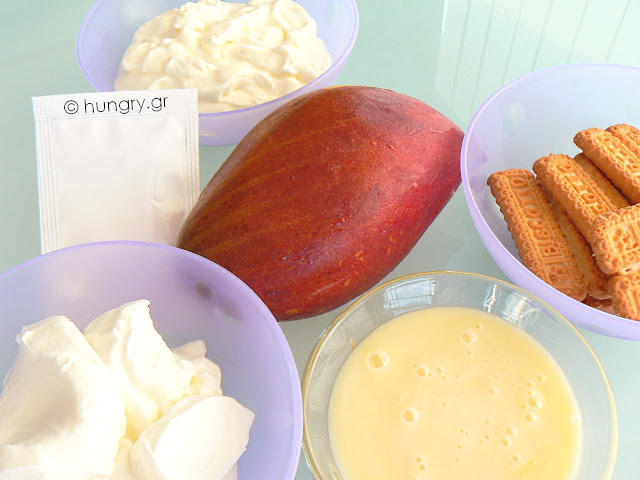 The process is a bit complicated but if you like this dessert, arm yourself with a little perseverance and you will be rewarded in the end! If something is not clear, please feel free to ask me.